Create a regal, rich look with the Ornate Damask Bedding Collection. 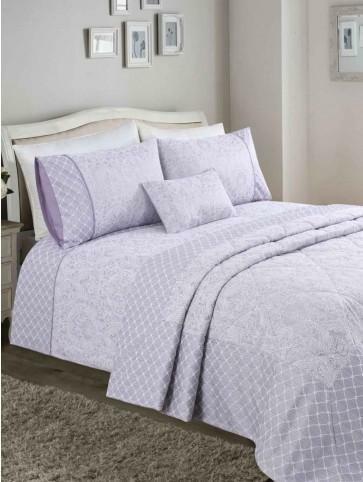 This jacquard bedding has tones of heather giving your bedroom a touch of luxury. A set contains one duvet cover 2 pillowcases. Complete the look of your room with beautiful matching accessories. Fabric: 65% Cotton 35% Polyester. Cushion Inner: 100% Polyester.